Just Buy Live Enterprise Pvt. 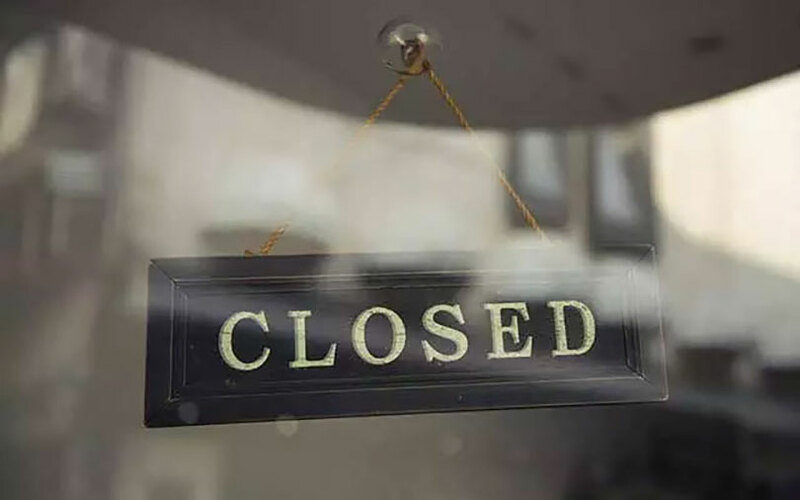 Ltd, an e-distributor that connects shopkeepers with consumer brands, has suspended operations and is no longer active, a person familiar with the development told TechCircle. “Just Buy Live appears to have shut down,” the person mentioned above said. A landline number provided on the desktop site of the company, which connects to the firm’s vice president of marketing Chetan D’ Souza, was not reachable. The automated voice response revealed that the landline services are temporarily disconnected. The firm’s app on the Google Play Store cannot be downloaded. Almost 10 user comments dating since July 2017 on its Google Play Store page point towards either a shut down or problems with the app. The company’s official Twitter handle, which was set up in 2014, is almost inactive. However, when contacted, Bharat Balachandran, one of Just Buy Live’s co-founders, said that the company has only temporarily suspended its business and is awaiting fresh funding to resume operations. “We are in the process of concluding our Series B round of funding. We shall definitely keep you and the market at large posted on further developments,” Balachandran said in an e-mailed response to TechCircle. In January 2016, the company raised $20 million (around Rs 136 crore) in a Series A funding round from Alpha Capital. Earlier this month, online tech news publication The Ken had reported that the company was on the verge of shutting down operations after systemic inefficiencies crept in due to the firm’s faulty business model. According to the report, which cited multiple unnamed former employees of the company, Just Buy Live adopted a flawed business model which led to large-scale bleeding of cash. It also laid off employees, delayed salaries and downsized personnel in different departments. At the time of The Ken’s report, the company, which had 400 people on its payroll, had fewer than a dozen employees. In August 2017, the company announced that it had raised $100 million (Rs 640 crore) in a Series B funding round from Dubai-based investment banking firm Ali Cloud Investment. At that time, the round was seen as one of the single largest fundraises into a B2B e-commerce entity. While TechCircle could not independently verify this, the company's filings with the Registrar of Companies since last year do not include any documents pertaining to its $100 million Series B round. Likewise, the company is yet to disclose its statement for the financial year 2016-17. The Ken also reported that Just Buy Live’s $100 million fundraise never happened at all. “Given the size and nature of the transaction, it has taken longer than expected,” Balachandran added in the e-mail. A detailed e-mail query sent to Ali Cloud Investment seeking more information on the $100-million fund infusion did not elicit a response at the time of publishing this report. Launched in March 2015, Just Buy Live followed a brand-to-retail business model wherein retailers bought goods directly from brands. At the time of its $100-million fundraise, the company claimed to have aggregated brands such as Apple, Xiaomi, Samsung, Micromax, YU Mobiles, Oppo, Patanjali, ITC, P&G, Unilever, Coca-Cola, Pepsico, Amul and Nestlé on its platform. The company was co-founded by Balachandran and Sahil Sani, with the latter having a majority share in the firm. Sani, who is also the chairman of Sahil International, which was formerly a channel partner to global audio and infotainment giant Harman International, had seed funded Just Buy Live by investing $5 million in his personal capacity. A person close to Harman International told TechCircle on condition of anonymity that the firm's association with Sahil International ended almost 8-9 months ago. Prior to co-founding the startup, Balachandran was involved in the distribution of banking and financial services industry products. A number of players have entered the sector but have been unable to stay afloat. One entity in B2B e-commerce that raised significant funding recently from marquee investors is Udaan. It operates on a similar business model as Just Buy Live, and last month, it secured $50 million (Rs 324 crore) in a Series B round from existing investors Lightspeed Venture Partners and new investor, Russian millionaire Yuri Milner’s Apoletto Fund. The Ken, in its report on Just Buy Live, had said that Udaan too is struggling to find its place in the B2B e-commerce sector and even pivoted its business model to providing logistics services to small businesses. Another player in the space is B2B online commerce portal Industrybuying, which has fallen on hard times. In November 2017, VCCircle had reported that the firm, which is backed by Kalaari Capital and SAIF Partners, was undergoing major downsizing. Likewise, in March last year, Noida-based IndiaMART InterMESH Ltd shut down the retail B2B wing of its online business goods marketplace, Tolexo, due to flagging sales and underperformance following the government's demonetisation move.